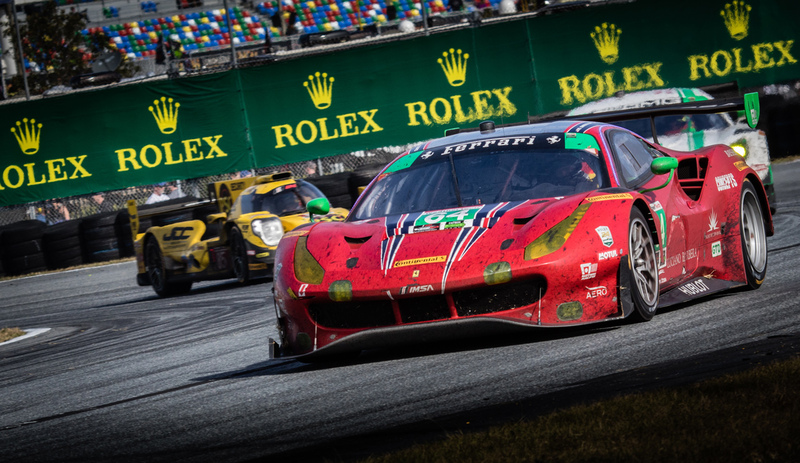 The truest test of performance is endurance, and at the Rolex 24 at Daytona race, there are two machines known for delivering on that promise. Considered by some to be the toughest event on the motorsports calendar, this race is not for the faint of heart. Three car classes racing at the same time around the clock, the difficulty and challenge of the race draws in drivers and racing teams from all over motorsports. Teams complete over 700 laps, covering the distance between Beverly Hills and New York City. 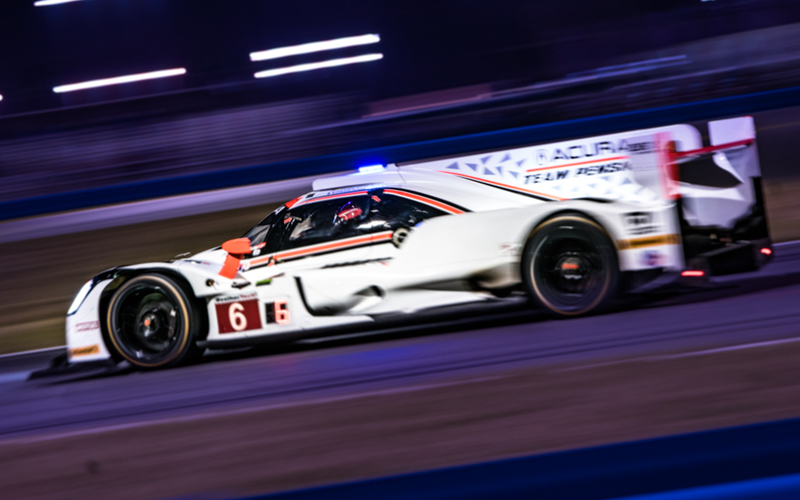 Nonstop driving is hard not only on the drivers of this demanding race, but also the engines powering the cars – prototype class race cars achieve over 150 (9000 RPMs) engine rotations per second – and to sustain this kind of performance takes painstaking precision and meticulous attention to detail. The cars not only perform at the peak of performance but also are able to go 24 hours, a truly mind blowing feat of engineering. 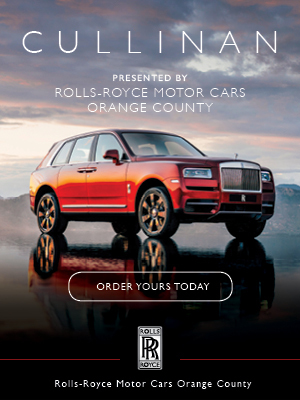 So, what’s the other performance machine? Well, that’s where the “Rolex” portion of the race comes in. 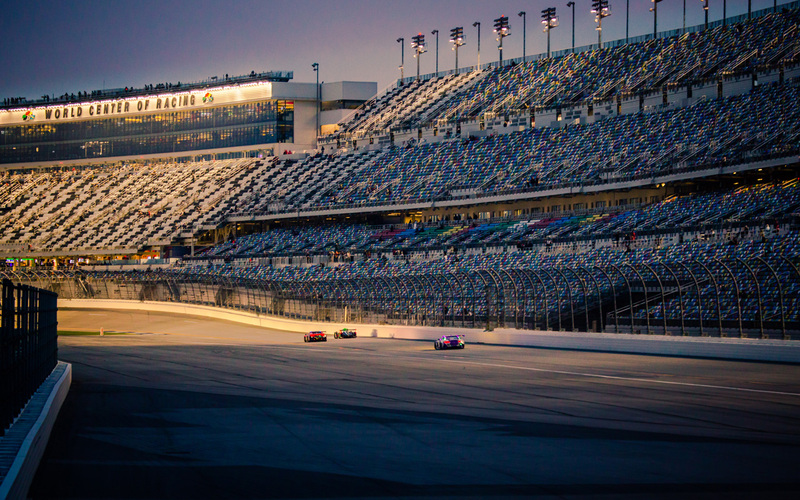 The answer to the question lies within the history of the racetrack and the Daytona beaches themselves. Daytona’s reputation for speed began to grow in the early 1900’s, when word of its long, firm and strait beaches began to spread and eventually caught the eye of British racer and journalist Sir. Malcolm Campbell, who just so happened to be a notable Rolex enthusiast. It was there on the beaches where Sir Campbell set his fifth land speed record of 248 MPH in 1936, and that notoriety gave way to the creation of the Daytona Race Track in 1959. 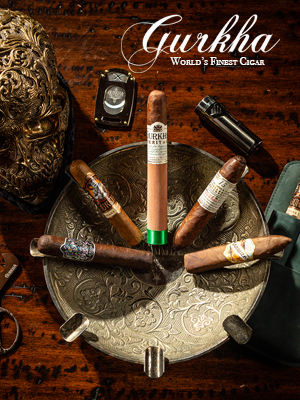 Rolex became a supporter that very first year. The partnership was quickly followed with the release of the Rolex Oyster Perpetual Cosmograph, a precision chronograph and instrumental tool of period racing. 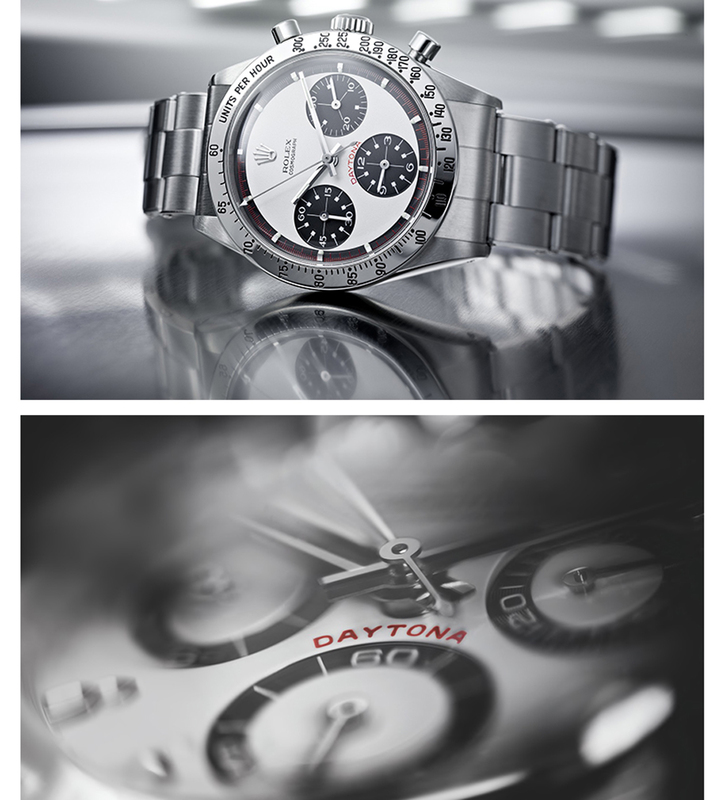 The racing timepiece soon become known as the “Daytona”, which was stamped on the dial a few years after its development. 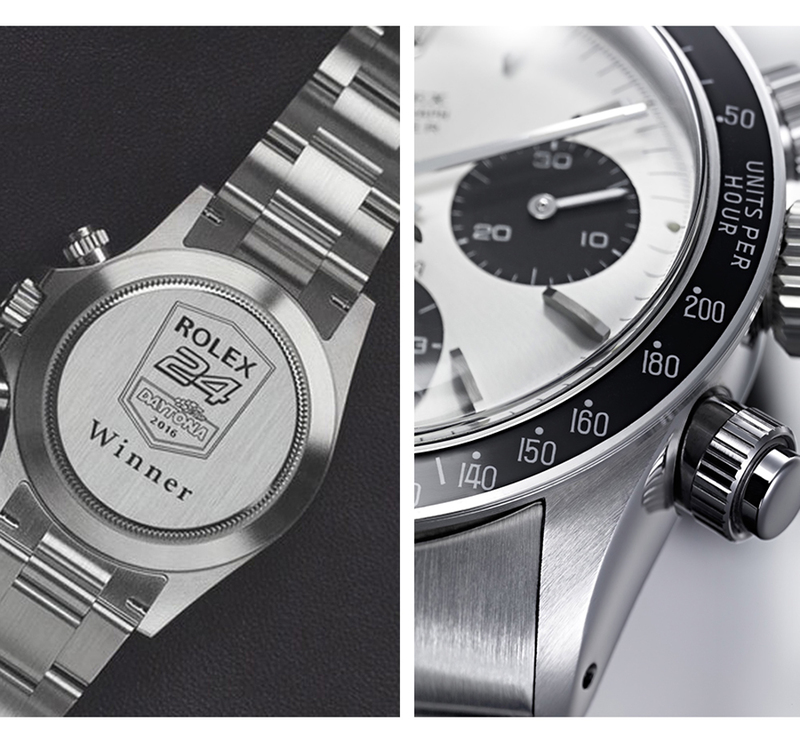 Today, drivers of the Rolex 24 at Daytona are not racing for just bragging rights, but for the converted timepieces themselves which are presented to the drivers in the winner’s circle. 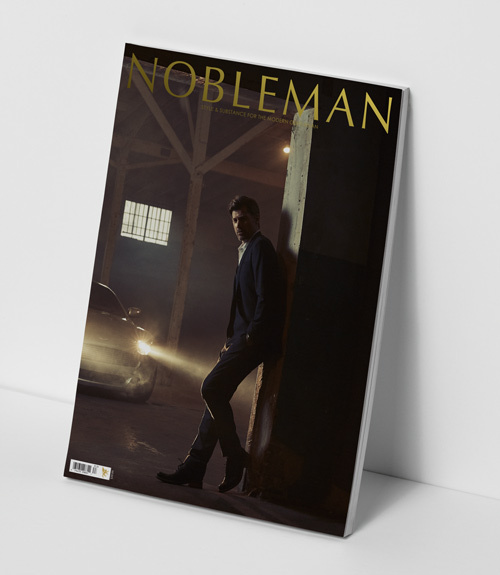 The watch has become as status symbol amongst drivers. The Rolex Daytona is synonymous with racing and horology, a duality expressed in performance and long life that celebrates true high-quality timepieces which last generations. Today the Daytona is one of Rolex’s most coveted timepieces, but don’t rush out to get one just yet, the waitlist for this item can be between three to five years, making it not only a status symbol on the track, but off of it as well.